Little has changed on the corner of Jefferson and Magnolia in the last 93 years. A distinguished example of Gothic Revival architecture in downtown, the Cathedral Church of Saint Luke was built here in 1922. The architects of the Washington Cathedral designed the church for Orlando. The history of Episcopalians in Orlando goes back 30 years earlier. Francis Eppes, the grandson of Thomas Jefferson, moved to Orlando in 1867. He arrived from Tallahassee having been one of the founders of the West Florida Seminary (later to become Florida State). The first Episcopal services in Orlando were held in his home, an estate named Pine Hill, located on Lake Pinelock. By the 1870’s, services were held downtown in the “free school” building — a shared site for churches and education. In January 1882, the Episcopal Church bought the property where today’s cathedral stands at the corner of Main Street (now Magnolia) and Jefferson Street. Francis Eppes had died the year before his church moved to a street named after his grandfather. They built a small church on the property that needed to be enlarged two years later and again in 1892. 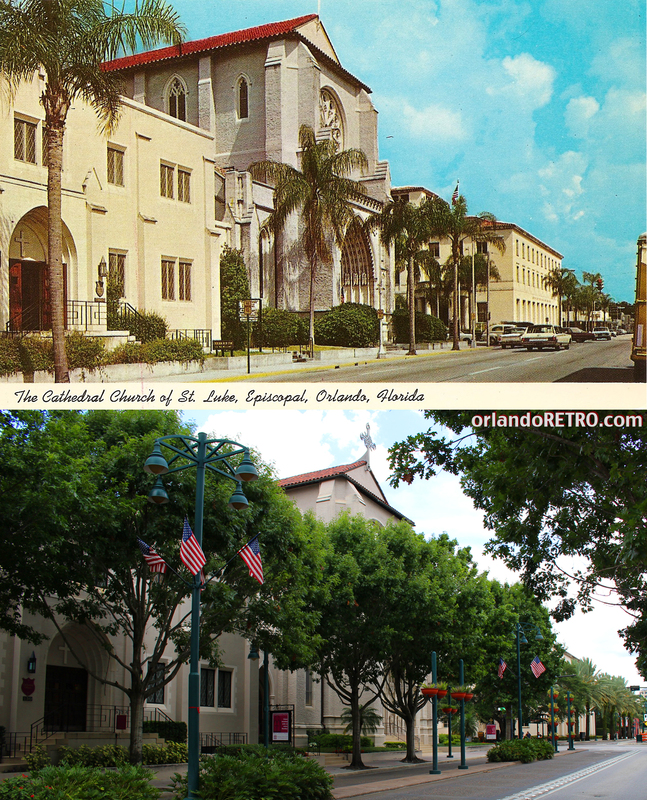 The first building was moved by 1922 to make room for today’s Cathedral Church. The cornerstone was laid in 1925 and the first services held in the cathedral on Easter 1926. The depression quickly followed, and the economic troubles caused portions of the building to remained unfinished. After 60 years, in 1986 the church was finally completed to the original plans. 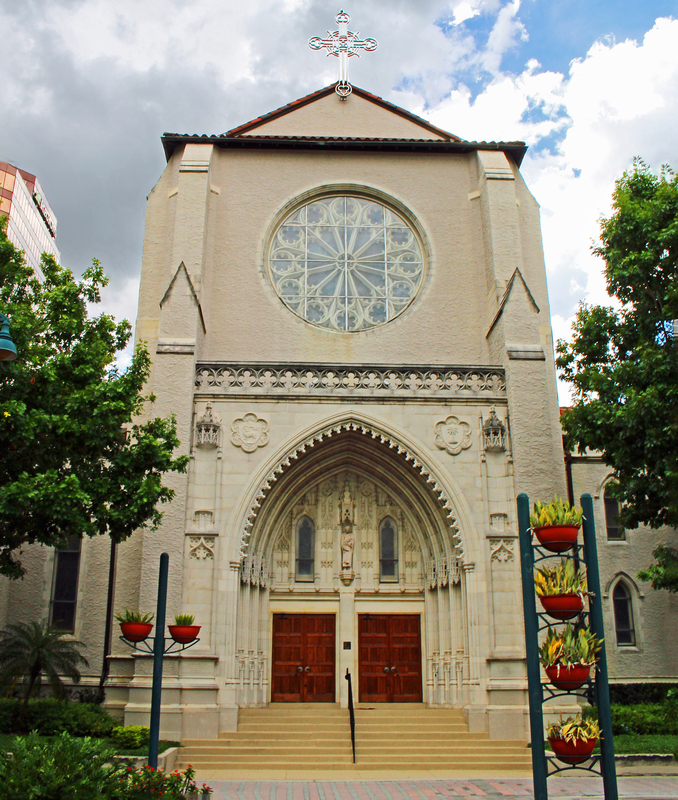 Cathedral Church of Saint Luke is one of downtown’s most impressive structures. 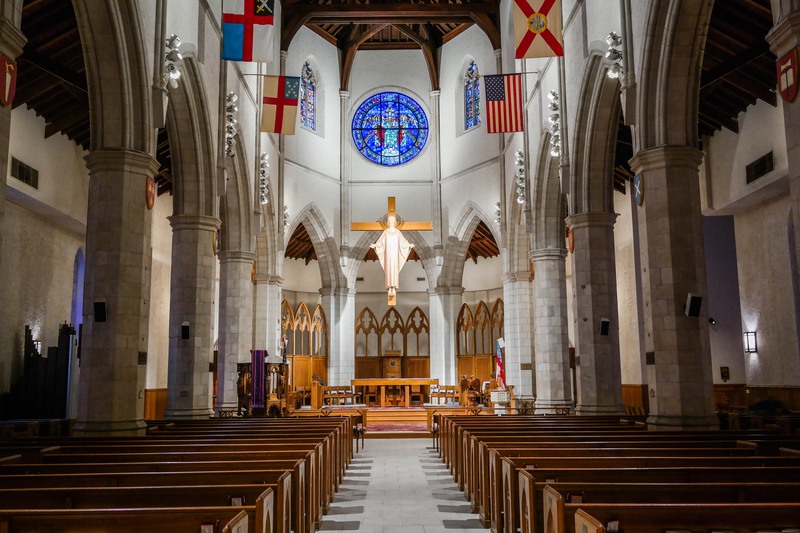 It’s a rare link to old Orlando as a site where Episcopalians have worshipped for over 90 of their nearly 150-year history.